After spending years of annual family vacations on the Outer Banks, Randy and his wife, Nancy, moved here permanently in 1991. He is a graduate of Virginia Tech (an avid Hokie!) and had a successful career in TV cable advertising prior to becoming a Realtor in 2002. 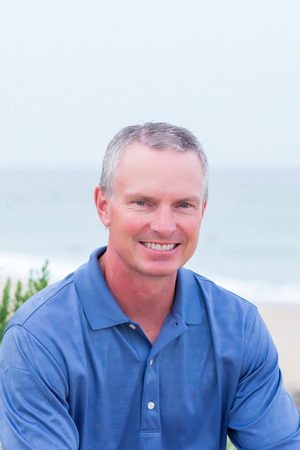 Randy lives in Nags Head with his family and enjoys all the Outer Banks has to offer. He is currently mastering the sport of stand up paddleboarding, enjoys playing golf and working out. Randy’s philosophy as a Realtor is to cultivate client relationships through trust and integrity. He takes pride in maintaining superior market knowledge and sharing this knowledge with his clients. Randy uses his attention to detail and his ability to listen and understand his clients’ needs to provide superior customer service in today’s sophisticated and challenging real estate market. Randy’s relationship with Village Realty provides his clients with great marketing power through local and national resources. Randy and his team of experts will go the extra mile to ensure your complete satisfaction.